Three full-time players from last season named to Hlinka-Gretzky Cup roster. USA Hockey concluded its Boys Select 17 Player Development Camp in preparation for the 2018 U.S. Under-18 Select Team that will compete Aug. 6-11 at the Hlinka-Gretzky Cup Tournament in Edmonton and Red Deer, Alberta. 33 players expected to play in the USHL next season were named to the All-Star Game, including 25 players currently committed to play college hockey. Additionally, USA Hockey announced the final roster of 21 players that includes a trio of full-time USHL players from last season: Michael Mancinelli (Madison Capitols), Robert Mastrosimone (Chicago Steel) and Tyler Paquette (Des Moines Buccaneers). The Hlinka-Gretzky Cup is an annual best-on-best under-18 tournament held each August. The competition began in 1991 as the Phoenix Cup, and was renamed the Ivan Hlinka Memorial Cup in 2007 before becoming the Hlinka-Gretzky Cup in 2018. All time, the U.S. Under-18 Men's Select Team has won the tournament once (2003), while earning second-place finishes in 2016, 2013, 2010, 2006, 2000, 1996, 1994 and 1993. Below are the 33 USHL players named to the USA Hockey Boys Select 17 All-Star Game. 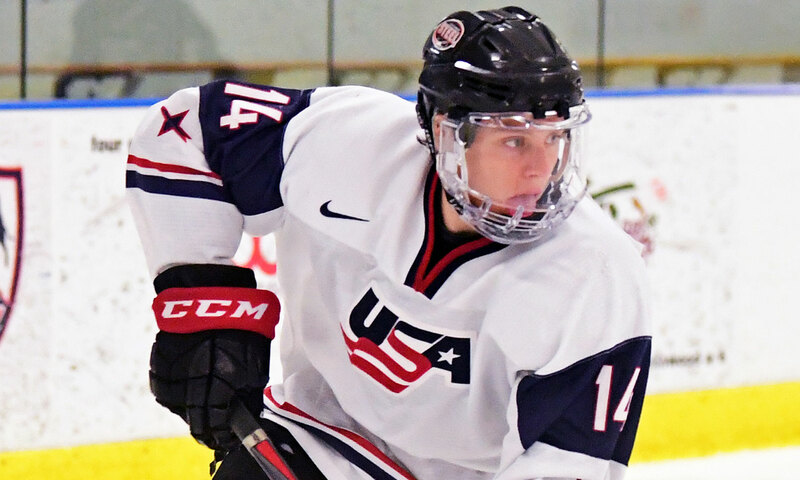 For final roster of the 2018 U.S. Under-18 Select Team click HERE.